Way To The Woods Announcement Trailer | Nerd Much? Two years ago, Way To The Woods was an idea for a game by one 16-year-old Anthony Tan. He was working on Unreal Engine 4 and determined to make this happen through crowdfunding. The game managed to trend on Reddit and Tumblr until it finally reached the ears of Team17. This publishing company is responsible for Yooka-Laylee (also originally a crowdfunded project) and Overcooked. A year later, Tan (now 18) has successfully put together a trailer for Way To The Woods. He states on his Tumblr for the game that the game will definitely be coming to PC, but he hopes to push for consoles as well. He also says that the game will be coming out early 2019. That’s fairly soon for a normal studio with at least 20 on the team, much less a one-man show who is still in high school. Nonetheless, Tan has made his two years of work look amazing. There are so glitches here and there that keen eye can catch, but for such a young developer and the time he had, Way To The Woods is more than beautiful. Tan describes the game as a “third person adventure game” and was inspired by films like Spirited Away, Princess Mononoke, and The Last of Us. Though that last one might seem like a bit of a jump from the aesthetic of Studio Ghibli films, Way To The Woods is not just a beautiful walking simulator. Tan states that “there will be danger on your way to the woods” and couples the statement with a screen from the game of a snarling wolf pack. In the trailer, we can certainly see that Tan is not kidding around, there are great talking cats to deal with and complex obstacles that are so much more than simple exploration or pushing blocks. 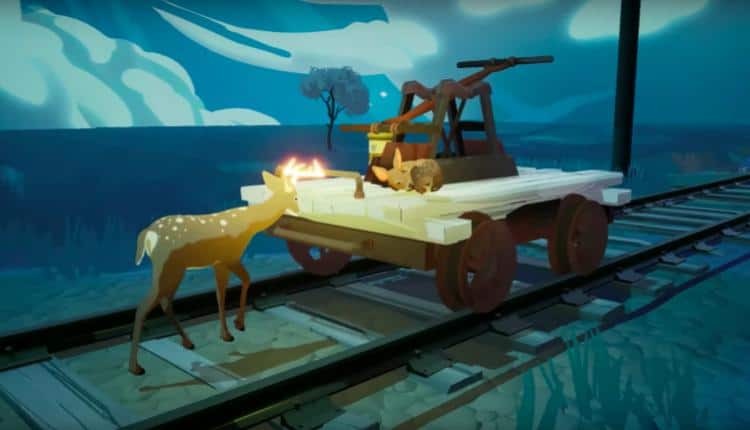 Way To The Woods is a game to keep your eye on, as the story behind it is inspiring, unique, and the game itself looks very promising. It speaks to the old adage that you can do anything you put your mind to. What do you think of Way To The Woods? Do you think the developer is too young? Or like Team17, do you think that talent supersedes age? Let us know your thoughts in the comments below!